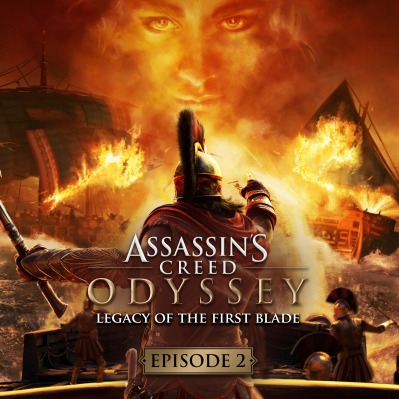 The Codex – Legacy of the First Blade – Episodes 2 & 3 Info. 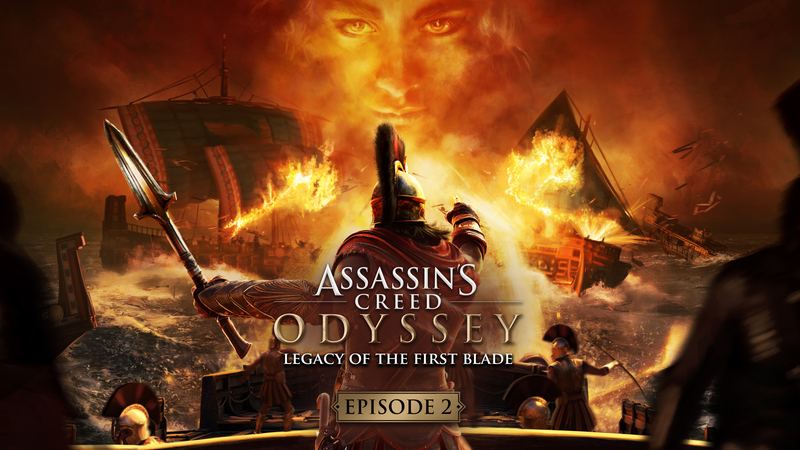 Home / News / Legacy of the First Blade – Episodes 2 & 3 Info. 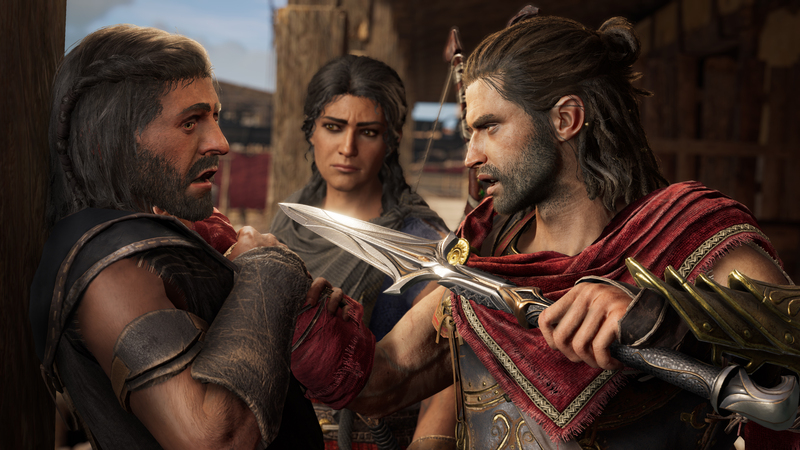 Shadow Heritage, the second episode of the Legacy of the First Blade story arc for Assassin’s Creed Odyssey arrives tomorrow on all platforms and it is set tp reunite players with Darius, the mysterious first wielder of a Hidden Blade. 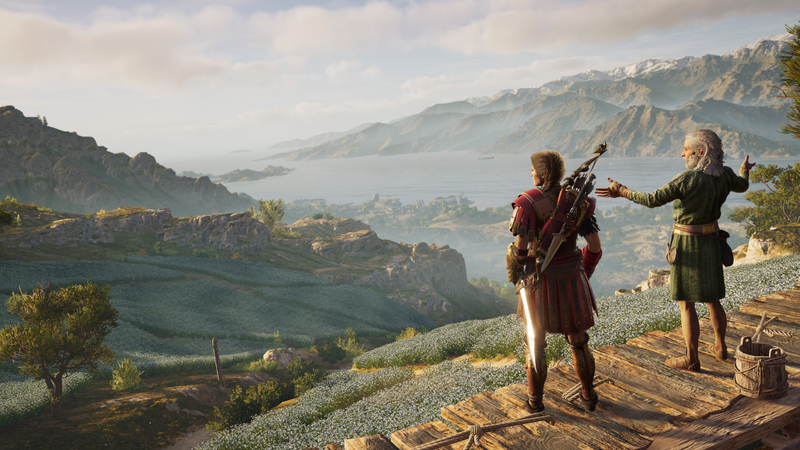 Set amid the shipyards of Achaia, the seaside region just southeast of Kephallonia, it’s a chance to uncover a new conspiracy by the Order of the Ancients, and to add a devastating new weapon to the Adrestia. 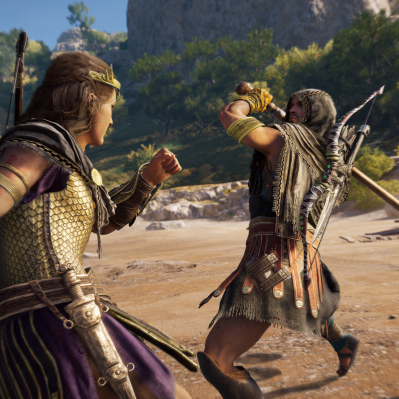 Shadow Heritage unlocks once players completed Legacy of the First Blade’s first episode, Hunted. 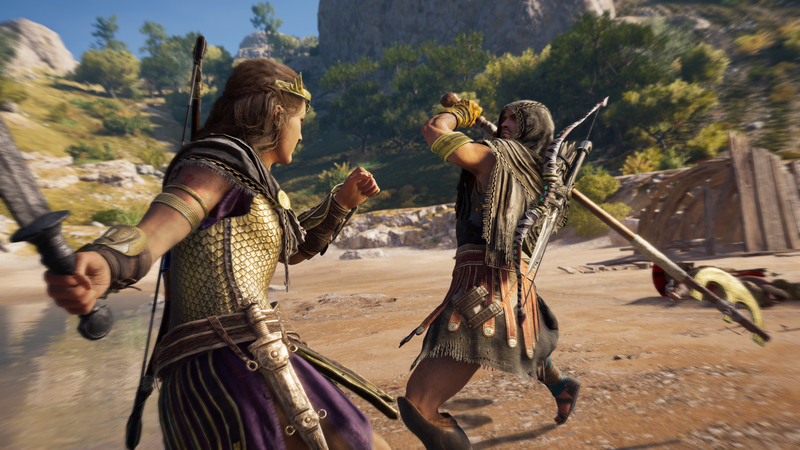 Intended for players level 28 and above, it sets you on a quest to free Achaia from the grip of a terrifying warlord who calls herself The Tempest. 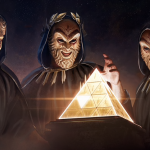 And where Hunted put a focus on stealth, much of Shadow Heritage’s action unfolds on and around the Aegean Sea, as you pit the Adrestia against The Tempest’s powerful fleet. 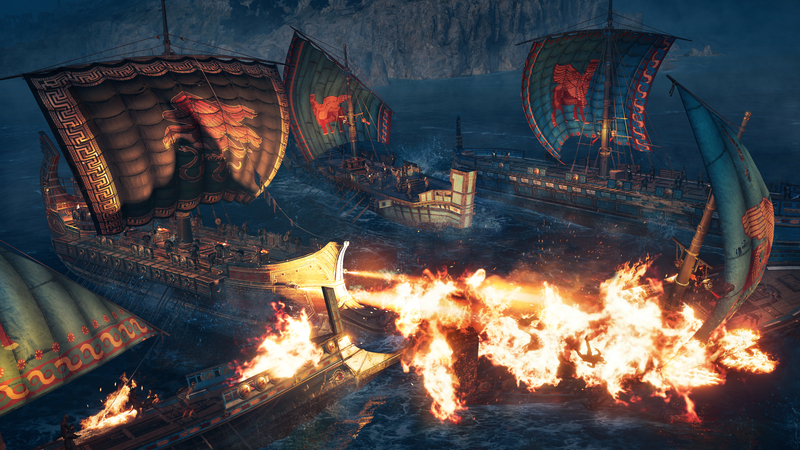 The balance of power at sea hinges on the Chimera’s Breath, a powerful superweapon under development by The Tempest. 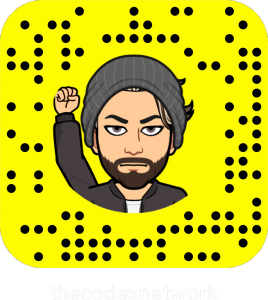 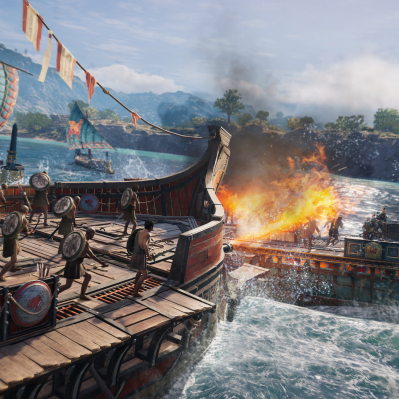 She plans to use it to terrorize the waters around Achaia, but you can turn it against her by stealing the plans for yourself, and then going on a treasure hunt to find the documents to decode them. 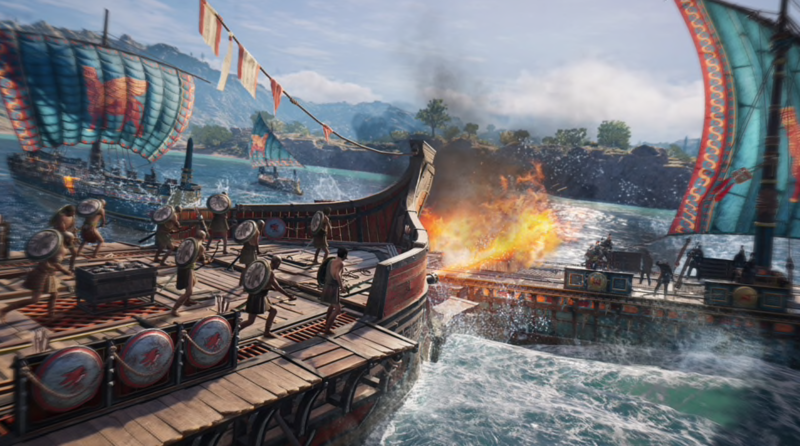 The Chimera’s Breath turns out to be a pair of prow-mounted flamethrowers that can rapidly overwhelm and temporarily paralyze enemy ships at close range. 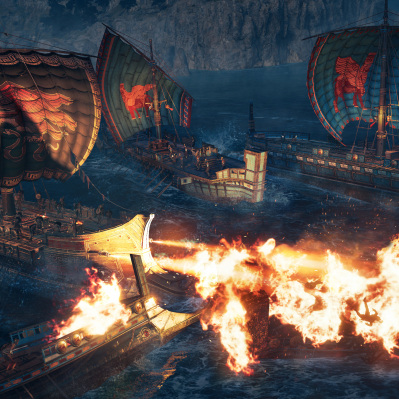 Not only does this make them easy prey for your archers, but it adds fiery new oomph to ramming enemy vessels. 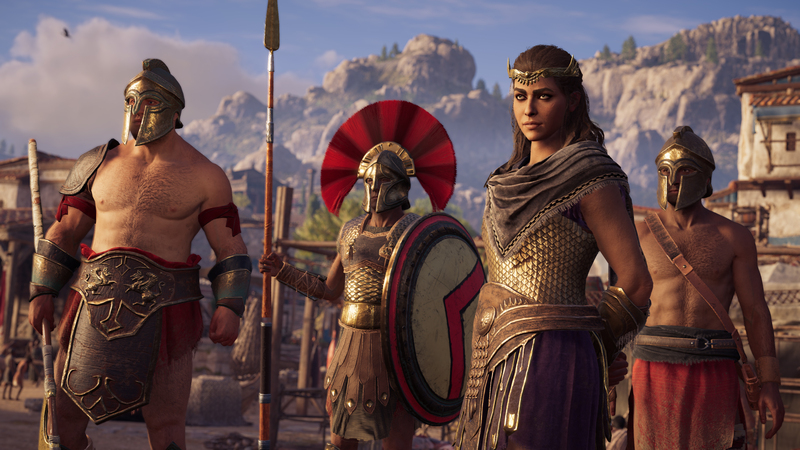 Probably not, because Legacy of the First Blade will conclude in March with the third episode, Bloodline, and there’s a lot more on the horizon for Assassin’s Creed Odyssey. 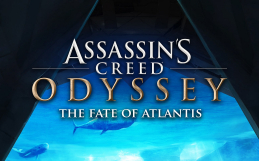 More Lost Tales of Greece are coming for free to all players, and the second post-launch story arc, The Fate of Atlantis, is coming soon to Season Pass holders, who’ll also get Assassin’s Creed III Remastered and Assassin’s Creed Liberation Remastered this March. 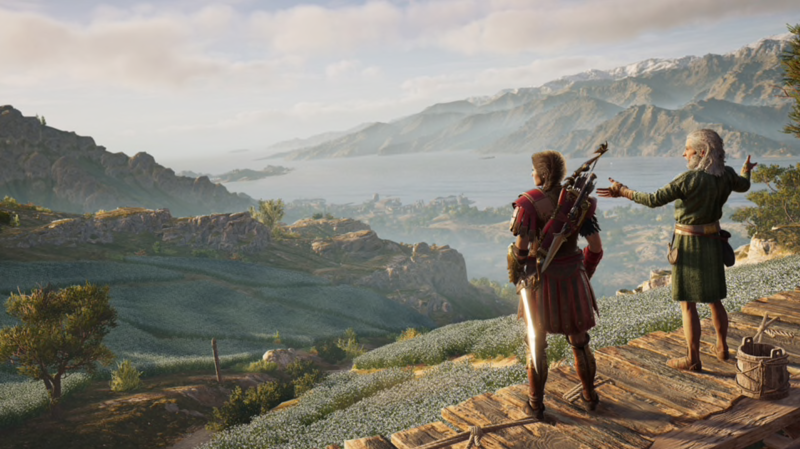 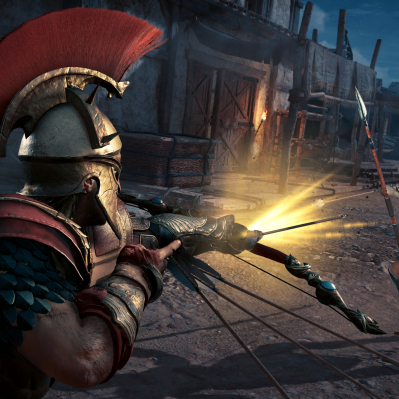 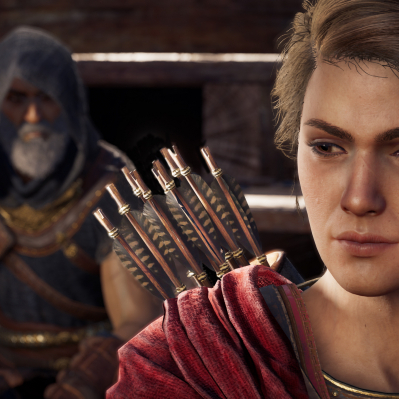 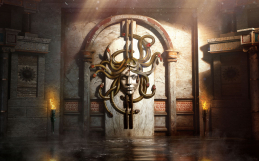 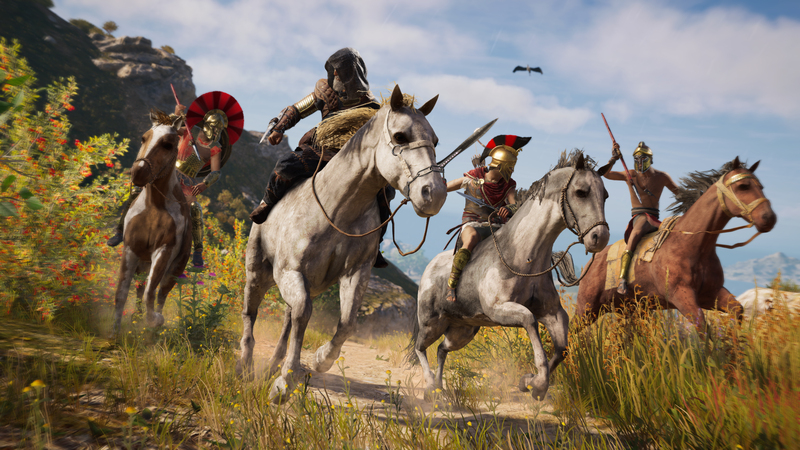 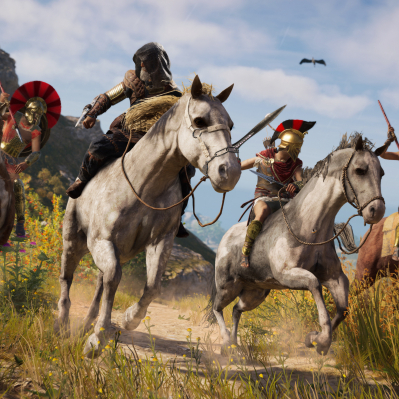 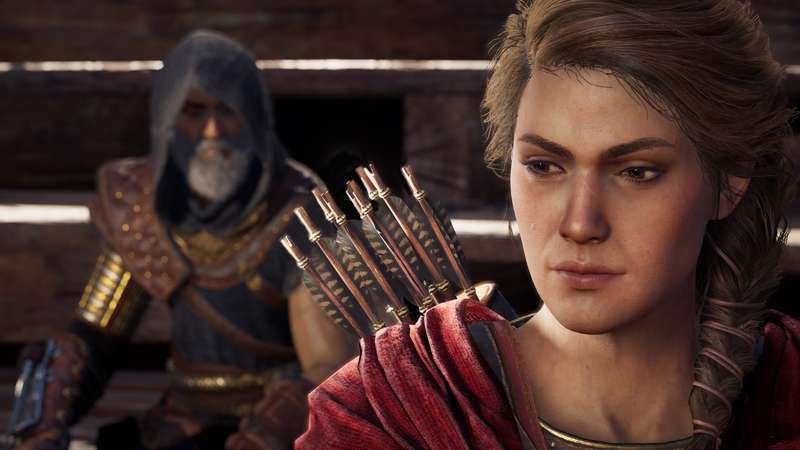 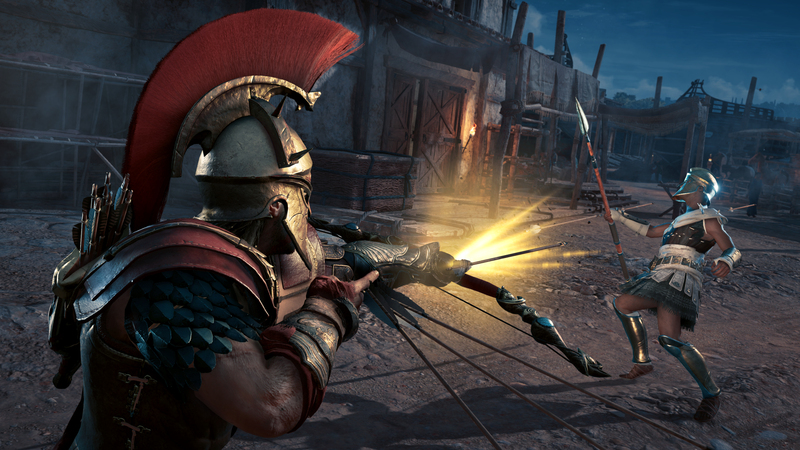 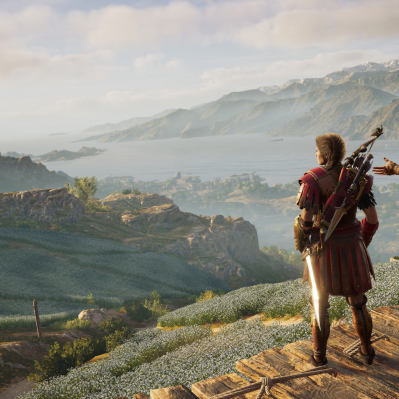 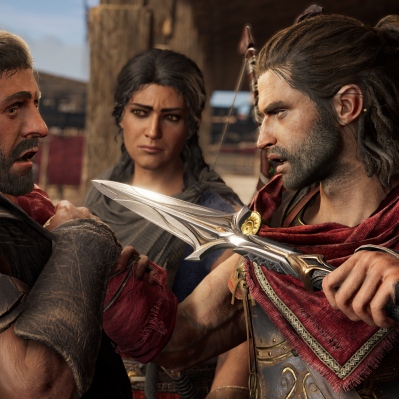 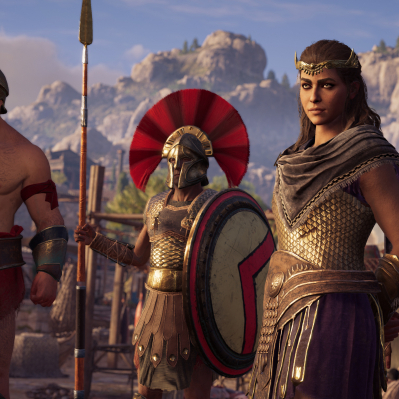 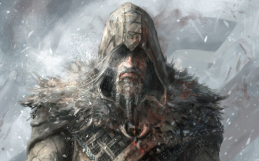 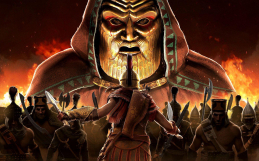 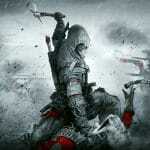 Assassin’s Creed Odyssey – Patch 1.1.2 deployed!